Capital gains taxes impose comparatively large costs on the economy by discouraging needed activities such as entrepreneurship, investment, and savings. A number of industrialized countries such as Switzerland, New Zealand, the Netherlands, and Belgium impose no capital gains taxes. While the capital gains tax is a federal tax, there is a method by which to exempt capital gains income from provincial income taxes. Critically, nine US states exempt capital gains from state-level income taxes: Alaska, Florida, Nevada, New Hampshire, South Dakota, Tennessee, Texas, Washington, and Wyoming. It’s worthwhile to note that several of these states—Alaska, South Dakota, Texas, and Wyoming—are major energy-producing states. 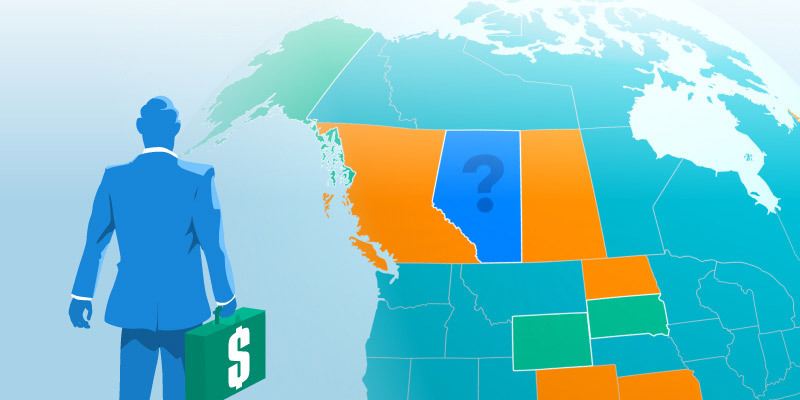 Eliminating capital gains taxes from provincial income tax in Alberta would send a powerful signal to would-be entrepreneurs, investors, and business owners that the province is regaining its former competitiveness.